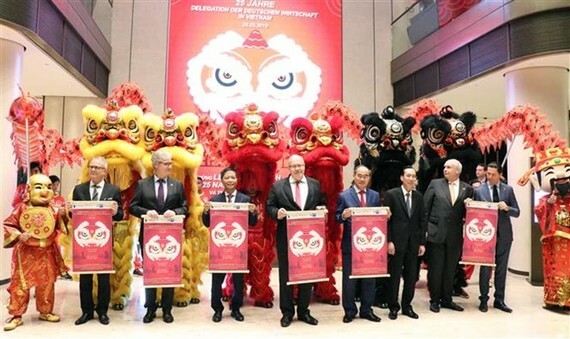 The German House was inaugurated in Ho Chi Minh City on March 26 at a ceremony which also marked the 25-year presence of the German Chamber of Industry and Commerce in Vietnam. Addressing the event, German Minister for Economic Affairs and Energy Peter Altmaier said despite certain ups and downs in the two countries’ relations, it is now time for them to look forward and develop their ties towards the common goal of prosperity of the people. Hailing Vietnam’s dynamic growth, the minister said the strong development of start-ups is one of the factors driving the country’s economic growth. He thanks Vietnamese partners for their support of the construction of the German House, and noted that the Vietnamese community in Germany plays a bridging role in the two countries’ relationship. Minister of Industry and Trade Tran Tuan Anh highlighted that the German House will be a new address for bilateral cooperative activities and serve as a bridge for the business communities of the two countries. He affirmed Vietnam’s commitment to improving the investment environment and legal framework to create an equal competitive environment for foreign firms. 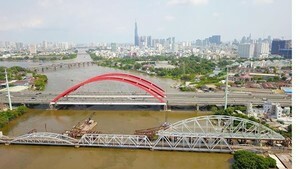 The minister called on the German government to continue encouraging German businesses to invest in Vietnam and assist Vietnam in developing renewable energy sources, building policies and infrastructure, and training human resources for the fourth Industrial Revolution. Construction of the German House started in November 2014. The work is a symbol of the friendship and the strategic cooperation of the two countries.